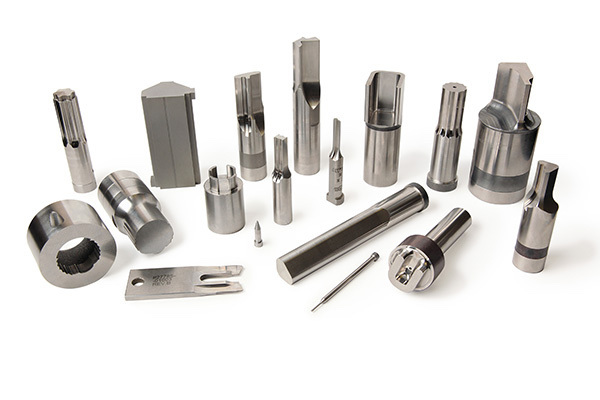 Punch Manufacturer - Punch Tooling - Die Punches | Tipco Punch Inc.
Tipco carries a wide range of die punches such as standard head-type and ball-lock punches as well as standard press-fit die buttons. We are also a pierce tool supplier. Standard products are available in both inch and metric sizes. Tipco is also a leading supplier of True Set® standard ball-lock, traditional headed and multi-head retainers to customers around the world. In addition, Tipco will manufacture special punches, dies and retainers according to your specifications. Beyond traditional punch tooling, we have jig grinding and wire EDM capabilities which allow us to “manufacture to print” within a highly predictable lead time. For more demanding applications, we welcome the challenge to consider new alloy or coating systems that may be outside of our traditional materials. Frequently at Tipco, we work together with customers to extend tool life or develop prototype tooling for a new application. By partnering with our customers and successfully implementing tooling solutions, we forge long-term relationships and become a more valuable supplier. Contact Tipco today to learn more! Headed type punch requirements with both solid and with pin slug ejection capability in metric or inch are usually required when stripping forces are excessive. Metric and inch ball lock punches are usually a requirement when quick replacement is called for, most commonly associated on large automotive dies where the accessibility is paramount to support uptime. Both metric and inch headed and ball lock punches can be manufactured as a standard qualified shape. These are identified by a standard “Q” designation in the catalog with a locator designation. Thread form tooling is used to form an indentation in sheet metal and creates the first thread to accept a metal screw. Thread form tooling is available in various thread sizes, metric and inch. Special inch or metric custom punches can be manufactured to a customer’s drawing or CAD data requirements.